An international research agency was commissioned by their client – a global pharmaceutical company – to conduct an international study on the acceptance of a new product in selected markets. The agency asked PMR to conduct a qualitative study involving pharmacists and consumers in Poland. The study’s main objective was to investigate consumer attitudes towards the new drug, and to concept test the packaging and potential names. 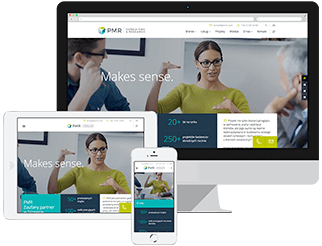 In two days, PMR’s experienced moderators completed a cycle of individual in-depth interviews with pharmacists and consumers. Talking to the two groups involved in the decision-making process was so important because it allowed us to obtain information from both sides – sellers and buyers in the OTC segment. In the course of the study, we identified buying behaviours in the OTC drug segment, as well as the most important motivators and barriers to purchase. We also learned the pharmacists’ perspective, found out about their sales strategies and what drugs are usually chosen by their customers. Later in the interview we focused on concept testing. We presented the new product’s profile, potential names, and packaging. Each of the respondents provided us with valuable opinions on the product’s advantages and disadvantages. Throughout the whole study, our client was able to observe the interviews through a one-way mirror, which allowed them to react to the discussion immediately and to ask additional questions. Thanks to our findings, the client was able to assess the initial level of acceptance of the new product in the Polish market. A detailed analysis of the concept provided more information on how to modify the marketing communication.